It could be that it is rebellious. After all, the point is usually to overcome the pseudo-god figure. The obvious example of this is Portal in which the player destroys GLaDOS, a robot in control of the facility that is keeping us captive. However, even less narrative-driven games like Super Smash Bros. include this trope. Think about it: the story mode ends with Mario destroying the hand that brought him to life. In the indie, Flash-style game The Witch’s House, the player also must confront a witch that seems to control everything in the house to escape. The common theme among these games is that the player feels trapped or held back by the pseudo-god, so he or she must defeat them. Therefore, these pseudo-gods could be a manifestation of our need to stick it to the man—so to speak—even if it is subconscious on the part of the game creator. The easier answer—but one we shouldn’t just shrug off—is that it is a simple recreational device to disguise the omnipotent nature of the creator’s narrative or the limitations inherent in the game. Though this could certainly be part of the reason, many games such as Assassin’s Creed have used other methods to explain this. Nevertheless, this is the theme that The Stanley Parable seems to be playing off of with the Narrator. This pseudo-god intentionally demonstrates the omnipotence of the creator’s purpose in games but also may symbolize the mind control people face in their daily lives (at work, through media, etc.). There doesn’t seem to be one correct answer as to what pseudo-gods mean, but they are certainly something to consider. This device could be as thought-provoking or simple as you want it to be. Is it a simple plot device? 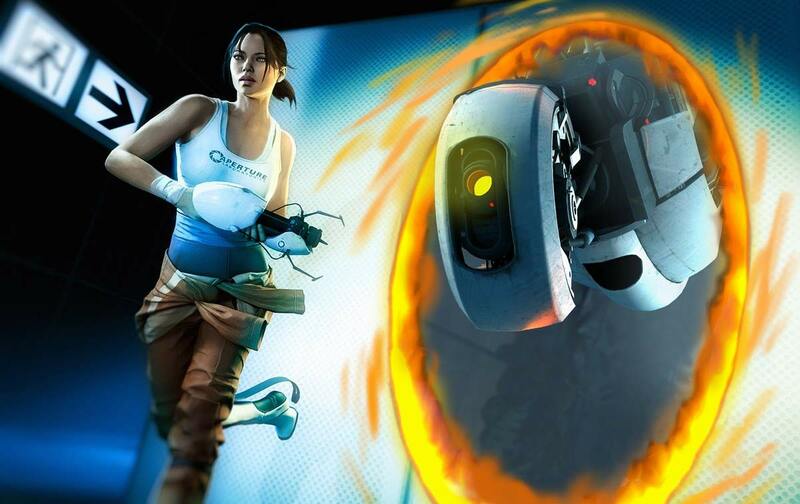 Or, is GLaDOS a comment on the very nature of reality and fate, just as the three witches are in Macbeth? You decide! Pingback: Quick Crit! Pseudo-Gods | Critical Hit!